ABC may be tightening its belt but there is plenty on offer over the Summer period, beginning Sunday November 30. Check programming closer to broadcast dates. Follow the heart-warming journey of a regional children’s choir, and its founder Michelle Leonard’s personal mission to bring a desolate musical landscape back to life. What is Australia’s favourite classic beach book? Jennifer Byrne and regular panellists Marieke Hardy and Jason Steger are joined by best-selling author Graeme Simsion and comedian Kitty Flanagan to count down the Top 10 viewer-voted classic beach books of all time. 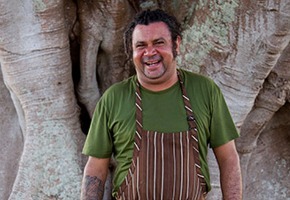 Hosted by Indigenous chef Clayton Donovan and filmed on the north coast of NSW, this series uncovers Clayton’s unique approach to food while exploring the diverse landscape and culture of the region. Part adventure, part history lesson, and part treasure hunt, Antiques Roadshow, now in its 35th year, invites members of the public to have their antiques and collectables examined and valued by experts. Hosted by Fiona Bruce. 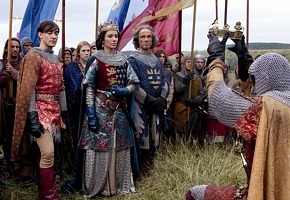 Cynthia Nixon, Peter Firth, Charlotte Riley and Miranda Richardson head up the all-star cast in Ken Follett’s epic sequel to The Pillars of the Earth, set in medieval England. 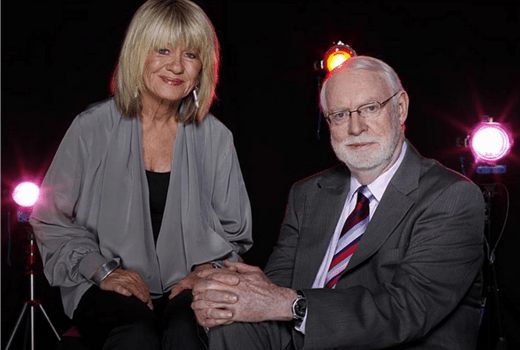 Margaret and David say farewell after 28 years together with a fun-packed show which includes summer releases, bloopers, behind the scenes footage, some of their best interviews, and the best of their most amusing discussions. They will also present their Top 5 films of 2014. Stephen Fry returns with his panel of comedians to share Christmas anecdotes and trivia, and ￼maybe answer some questions as well, in this popular comedy panel game in which being Quite Interesting is more important than being right. 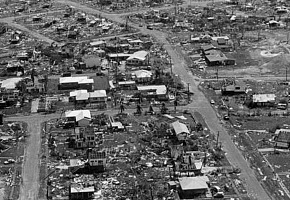 On Christmas Eve 1974, Cyclone Tracy devastated Darwin. 40 years later, many of the myths about the disaster and its aftermath are examined, and untold stories are shared. Blown Away is a story full of drama and tragedy, heroism and bloody-minded stupidity, told by the people who were there. Rob Brydon is back along with lightning-quick team captains David Mitchell and Lee Mack for a festive edition of the comedy panel show. Celebrity guests will reveal amazing stories about themselves, some of which are true, and some of which are not. The aim of the game is to fool the opposition into mistaking fact for fiction and fiction for fact. Her Majesty Queen Elizabeth delivers her annual Christmas message to the Commonwealth. Bette Midler, Ed Sheeran, Sarah Millican, Ellie Goulding, Jack Whitehall, Dame Shirley Bassey, the cast of Miss Saigon, plus many more, perform in this gala evening, staged for the first time in the presence of Their Royal Highnesses The Duke and Duchess of Cambridge. 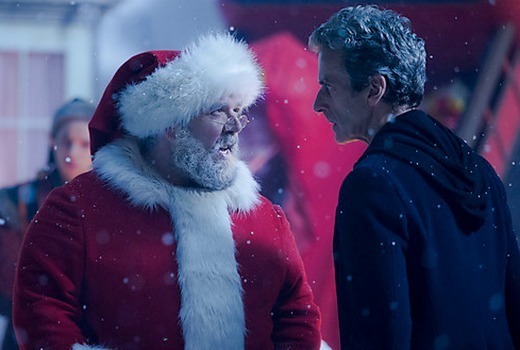 Actor and screenwriter Nick Frost stars as Santa Claus in the highly anticipated 2014 Doctor Who Christmas Special, which promises to be an action-packed, unmissable adventure. The special also stars Michael Troughton who follows in the footsteps of his father Patrick Troughton, who played the second incarnation of The Doctor. Marking the ten year anniversary of the 2004 Indian Ocean Tsunami, this documentary tells the story of that fateful day by gathering personal accounts from those who survived being swept away by the wave, along with user-generated content, home movies, news archive, and previously unseen footage. 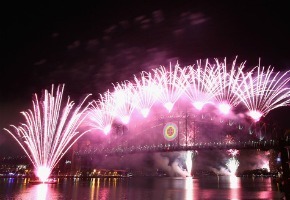 Counting us down to the sensational fireworks on Sydney Harbour, Julia Zemiro and Toby Truslove guide us through the biggest night of the year. This four-hour entertainment bonanza will feature a special mini-episode of Nowhere Boys, Lawrence Mooney will host Australia’s biggest ever Pub Quiz, and Adam Zwar presents a special edition of The Agony of New Years Eve. While the harbour is showered with fireworks, home viewers will be dazzled by a night of comedy, music and more celebrities than you can shake a sparkler at. Benedict Cumberbatch stars as Sherlock Holmes and Martin Freeman as his loyal friend, Doctor John Watson in this thrilling, funny, fast-paced contemporary reimagining of the Arthur Conan Doyle classic. Co-created by Steven Moffat and Mark Gatiss. 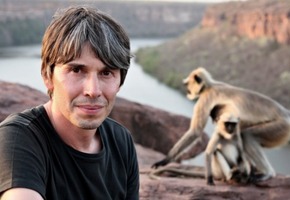 In this spectacular series, Professor Cox offers an original new perspective on human life: the story of a group of apes that evolved to leave their home planet and step out into the universe. Adam Hills returns with co-hosts Josh Widdicombe and Alex Brooker to provide some offbeat commentary on the significant moments of the past seven days. ABC TV is the official, free-to-air broadcaster for the biggest football tournament ever staged in Australia. Every game featuring Australia’s Socceroos will be broadcast on ABC commercial free and in its entirety and also simulcast on iview. The Socceroos finals matches will be broadcast live. Each night ABC will also screen a 30 minute highlight package bringing you the best of the day’s action across all four groups. In January triple j turns 40! To celebrate this irreverent cultural icon we take a look back at the radio station which, from the start, tapped into the hearts and minds of Australia’s youth culture. With a pumping soundtrack evoking the mood of each decade, this program features interviews with Roy & HG, Jono & Dano, Missy Higgins, Daniel Johns, Wil Anderson, Adam Spencer, Myf Warhurst, Hilltop Hoods, Peter Garrett, plus many more. The Australian of the Year Awards celebrate the achievements and contributions of eminent citizens throughout the last year. ABC will cover the official announcement live on Australia Day Eve, January 25, hosted by Stephanie Brantz and announced by the Prime Minister. Following the broadcast of Schoolies: You Only Live Once on ABC, tune in to ABC2 for After Schoolies: Live With Tom Tilley, a live forum filmed from the Gold Coast that will investigate the issues raised in the documentary. In workplaces across the country, the tensions, rivalries and romantic crushes have an outlet that ￼comes but once a year at the office christmas party! Meet three very different businesses and their staff as they prepare to celebrate the end of the year and the beginning of the holidays by partying hard and letting off steam at the annual Christmas extravaganza. Over three consecutive nights, ABC2 will screen one of the greatest sagas in movie history. 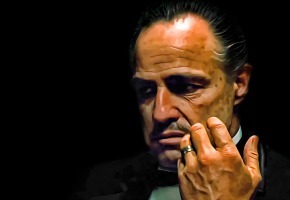 Starting on Christmas Eve and concluding on Boxing Day, follow the compelling story of the life and times of the Mafia patriarch Don Corleone and his family. The winner of three Academy Awards and based on the novel by Mario Puzo, this multi-generational crime saga stars Marlon Brando, Al Pacino, Diane Keating and James Caan. From the producers of the acclaimed documentary film, Catfish, comes the second series where young couples take their online romances into the real world. What will happen when they meet in person for the first time? 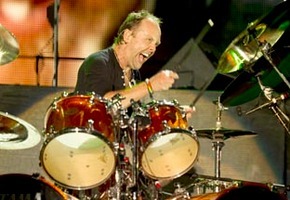 Critically acclaimed, feature documentary Mission To Lars is the story of two siblings’ (Kate and William Spicer) attempt to fulfill their brother Tom’s dream of meeting rock God Lars Ulrich of Metallica. Tom Spicer has Fragile X Syndrome, a form of autism and a dream to meet to his hero. His siblings promise to make it happen with hopes of good times and a bonding road trip. But Tom’s disabilities, a dysfunctional family, and heavy metal labyrinthine backstage world thwart the mission at every turn. This highly entertaining series follows self-made millionaire Terry Walker who started with just £500 in his pocket. Believing in second chances, Terry has built a scrap heap empire and a family from employing the people that no one else will. It’s a comedy event with a difference. Think stand-up, but sitting down. Then add a narrative. Sophisticated and hilarious, each Story Club brings together two of Australia’s finest raconteurs, including politicians, stand-up comics, novelists, journalists, commentators, poets and musicians to create an event that is both funny and unexpected. Executive Produced by Craig Reucassel and Julian Morrow. This popular British series comes back to ABC2. Never Mind the Buzzcocks is an Irreverent pop quiz, with guest competitors and regular captains from the worlds of music, TV and comedy, lining up in two teams. Operation Ouch is packed with incredible facts about the human body and fronted by identical twins Dr Chris and Dr. Xand van Tulleken who experiment and explore their way through the fascinating world of medicine and biology. Horrible Histories: Horrible Christmas 1×30’ Premiere Wednesday December 24 at 6pm Christmas is a time for charity, hope, and goodwill to all men… or if it’s the Horrible Histories Christmas Special it’s a time for farting jesters, Christmas cards full of bacon, and having the festive meal confiscated by Oliver Cromwell. Smackdown is back for another year! The ABC3 presenters must battle their intense rivalries, hypnosis, cheating, and oh yeah, win the actual game if they are to claim the grand prize: the world’s largest guinea pig! The bold action-adventure series set in 15th century Florence, returns with more mystery, intrigue and madcap inventions, following the teenage Leonardo da Vinci and his group of streetwise friends. After the explosive events of last series, at least now Leo knows who his enemy is…until a surprising twist of fate changes everything. It’s the unreal world hanging out in the real world. Join dirtgirl, scrapboy and a secret guest as they get grubby with kids across Australia – for real! 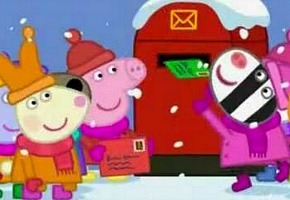 Includes Peppa’s Christmas, the Giggle and Hoot Christmas Special, Timmy’s Christmas Surprise, How Many More Minutes Until Christmas (Charlie & Lola Special) and Christmas episodes of ￼favourite shows: Ben & Holly’s Little Kingdom, Bananas In Pyjamas, Mike The Knight, Mister Maker and Shaun The Sheep. Based on the best-selling books, these films tell the magical tale of a mouse who takes a walk through the woods in search of a nut and a little Gruffalo who ignores her father’s warnings. Peter tells a curious Cotton-tail how he and Squirrel Nutkin became friends and how the squirrel lost his tail. Soon Peter is on an adventure to retrieve Nutkin’s tail, even though it means going to Owl Island! Like their earlier work, the second series continues to present bright and engaging entertainment for young children and like all The Wiggles’ work there are many opportunities for learning that underlie each episode. It includes songs from Taking Off!, Furry Tales, Pumpkin Face, Apples & Bananas, Wiggle House, and their 2014 Australia Day Concert performance. Who are the surprise guests knocking at the Play School door? Will it be an artist, or a dragon, a magician or a new pet? Find out in Knock! Knock! Mike’s father the King is on a mission to save Glendragon by returning a crystal jewel to the giant dragon of Dragon Mountain. 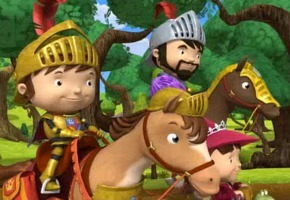 Mike and his sister Evie secretly follow their father and unfortunately for the King, Mike’s attempts at being knightly only make the mission harder. But when Evie accidentally causes a rock fall, its Mike who bravely saves the day. ABC iview is the place to be over summer, with the ultimate comedy binge-fest running throughout January and February. Tune in whenever you want, for the complete series of your favourite Australian comedies starting in December with the first series of Upper Middle Bogan, It’s A Date, A Moody Christmas, Laid and Chris Lilley’s Ja’mie: Private School Girl. Then during January watch the second series of Upper Middle Bogan, It’s A Date, The Moodys, Laid and Chris Lilley’s Jonah From Tonga. Tags: A Moody Christmas, Adam Hills: The Last Leg, AFC Asian Cup, After Schoolies: Live With Tom Tilley, Antiques Roadshow, At the Movies, Australian Of The Year Awards, Bananas in Pyjamas, Ben & Holly's Little Kingdom, Blown Away, Catfish, Deadly 60: Pole To Pole, Doctor Who, Get Grubby TV, Giggle and Hoot Christmas Special, Horrible Histories, How Many More Minutes Until Christmas, Human Universe With Brian Cox, It's a Date, Ja’mie: Private School Girl, Jonah From Tonga, LAID, Leonardo, Mike the Knight, Mission To Lars, Mister Maker, Never Mind the Buzzcocks, New Years Eve Fireworks, Office Christmas Party, Operation Ouch, Outback Choir, Outnumbered, Peppa’s Christmas, Peter Rabbit, Play School, Plebs, Qi, Ready, Royal Variety Performance, Schoolies: You Only Live Once, Scrappers, Shaun the Sheep, Sherlock, Sounds Like Teen Spirit: Triple J At 40, Steady, Story Club, The ABC3 Smackdown!, The Book Club, The Gruffalo & The Gruffalo’s Child, The Moodys, The Queen's Christmas Message, Timmy’s Christmas Surprise, Tsunami: 10 Years On, Upper Middle Bogan, Wiggle!, Wild Kitchen, World Without End, Would I Lie To You At Christmas?, Would I Lie To You? Doctor Who is a must for Christmas! A lot of things I will watch…in fact with what has been reported here for other channels as well…not a boring summer at all. @ Pertinax….re Antiques Roadshows..not everyone has, or even wants…Foxtel!! Few good things but sad that the major BBC films go to Foxtel now. I’ve said it before and I’ll say it again – thank God for the ABC. A virtual oasis in the holiday period wasteland that is commercial TV. Glad to see the Outnumbered Christmas special. I will just have to remember to find it on ABC3. And of course we are looking forward to Nick Frost on Doctor Who. Still no sign of the final seasons of Misfits and Being Human on ABC2. S35 of Antiques Roadshows is 2012/13, has run on cable many times, why it is an “ABC Premiere”. The Gruffalo and The Gruffalo’s Child the ABC shows every month. I recorded them ages ago, because I haven’t seen the 2nd one, and have seen them in the TV guide many times since. Will watch Human Universe, The QI and Doctor Who Christmas specials. Maybe The Godfather 1&2, been a long time since I’ve seen them. Do with the ABC would repeat Mr. Smith Goes to Washington though, I screwed up my last attempt to record it. It would be an ABC Premiere because it has never run on ABC. Thought that was pretty obvious. So thrilled to hear we’re getting the next season of Catfish! After devouring the first I was really hoping ABC2 wouldn’t keep me waiting too long. Yay!